When you enter a guest room at the White Oak Manor bed and breakfast in Jefferson Texas you’ll notice a lovely little book lying on one of the tables, it’s just a little book but Oh is it packed with some punch. Reviews! 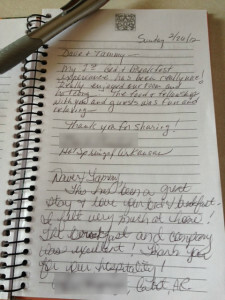 We offer these books for our guests to write about their experiences in Jefferson Texas, sometimes they write about a delicious meal or maybe it will contain a snippet of that fabulous boat ride on Caddo Lake. 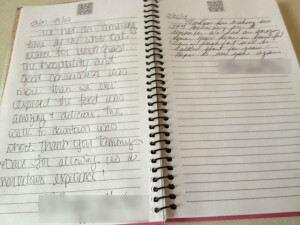 Most of the time they may write a review about their time spent with us. Whatever they choose to write about is always so helpful to the next guest who will be reading that book. 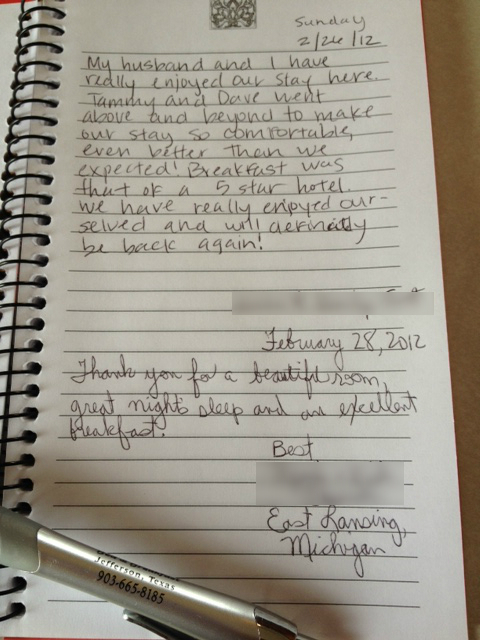 Plus I cannot tell a lie it always lifts our spirits when we read these reviews; to know that we helped someone have a really good time while they stayed with us. We understand that time is precious so we do everything we can to give you the best possible opportunity to relax in the ways you want to. 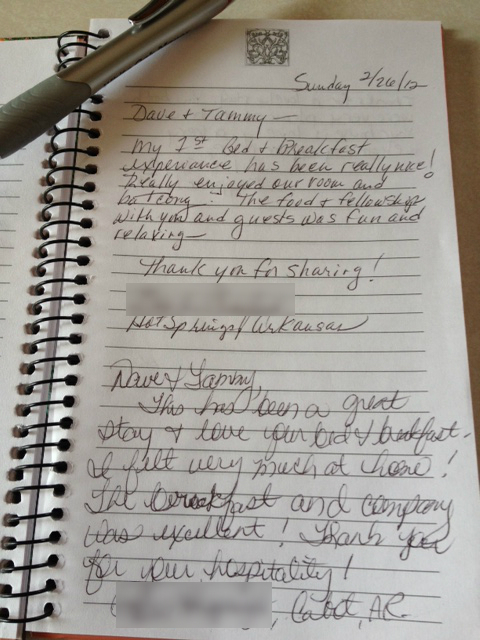 This past week we read the books and could not help but feel happiness for our guests. 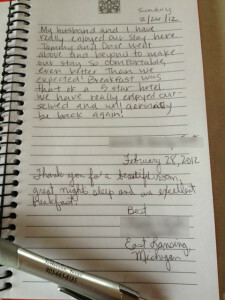 It may seem that we should feel happy for ourselves but really it is the guests we feel joyous for. 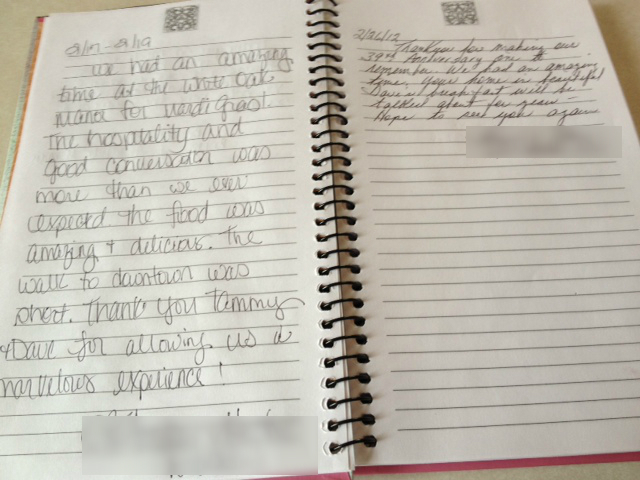 This entry was posted in Reviews by Tammy D. Bookmark the permalink.